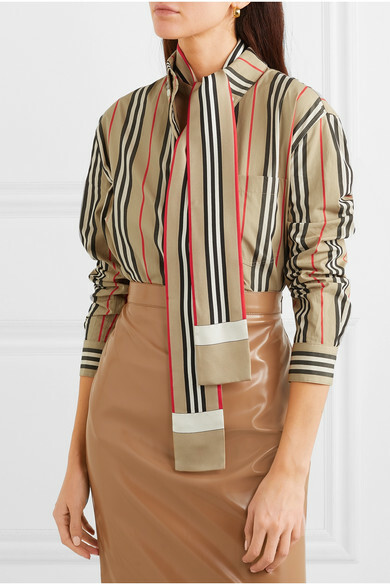 Riccardo Tisci delved into Burberry's archives for Spring '19, re-imagining the house's iconic motifs in so many fresh ways. 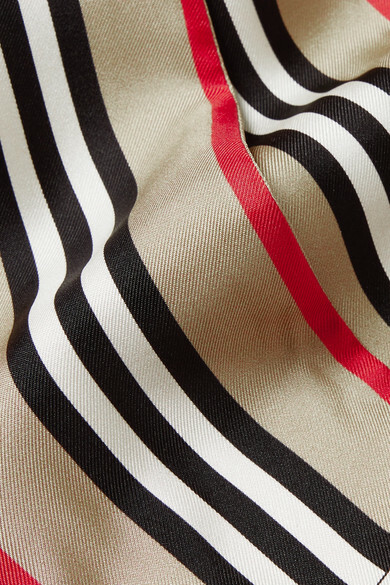 Made in Italy from fluid silk-twill, this scarf is printed with stripes in the label's signature colors. The skinny shape is ideal for tying around your neck or attaching to a tote. 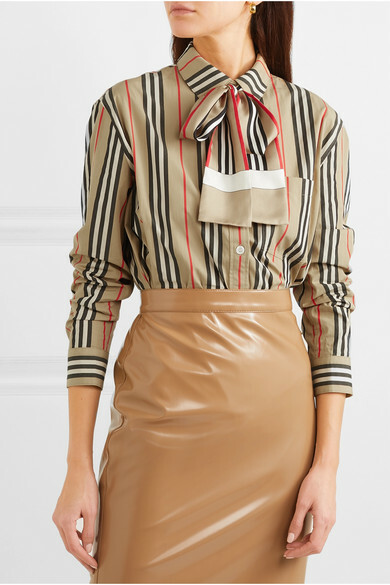 Shown here with: Burberry Shirt, Burberry Skirt, Laura Lombardi Earrings.